Marlboro Township: Sheriff Shaun Golden wants students who are about to get their driver’s license and take to the roadways, to stay safe. 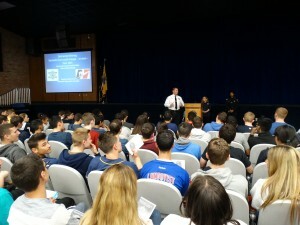 In conjunction with April being Distracted Driving Awareness Month, the program, called “Distracted Driving-Seconds that Could Change or End Your Life” was conducted by the Monmouth County Sheriff’s Office at Marlboro High School on Monday, April 4. “Distracted Driving-Seconds that Could Change or End Your Life” was presented by Sheriff’s Officers Iliana Velazquez and Michell e Melendez to more than 1200 high school students at Marlboro High School. 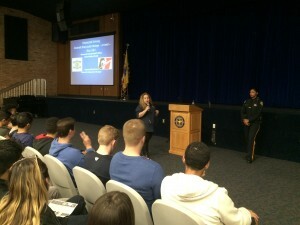 During the seven one hour presentations, distracted driving was explained along with the types of distracted driving such as texting and talking on cell phones, eating, drinking, reading and grooming, among other activities. 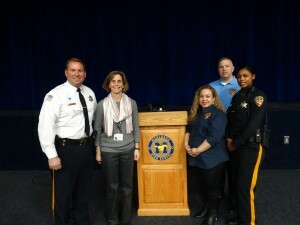 In addition, several compelling videos, detailing the aftermath of distracted driving were graphically illustrated. At the conclusion of the presentation, students had the opportunity to ask questions and were left with the advice to share the information they obtained with others. Driver inattention has been a major contributing factor in nearly 800,000 motor vehicle crashes from 2010 to 2014. A quarter of teens respond to a text message once or more every time they drive. 20 percent of teens and 10 percent of parents admit that they have extended multi-message text conversations while driving. 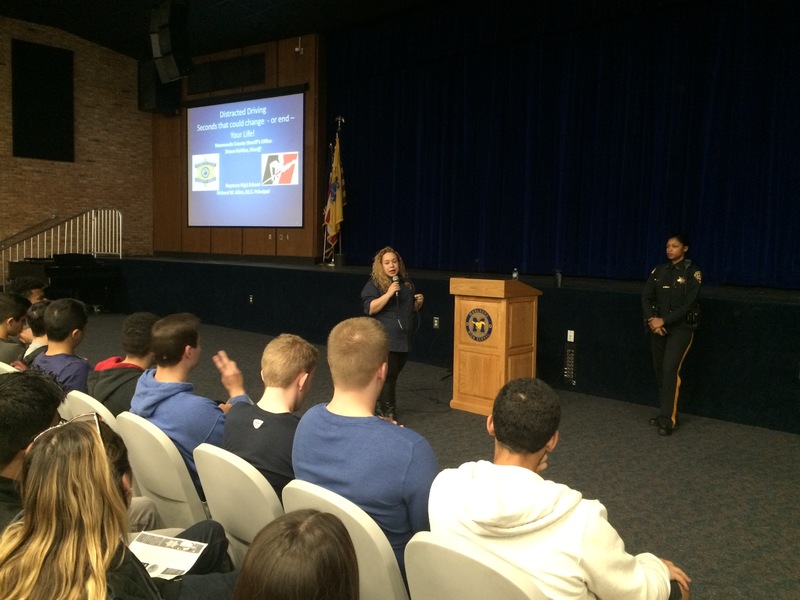 While the sheriff’s office program is presented to high school aged students, the information gathered needs to be shared, since driver distraction means that your eyes are off the road, hands are off the wheel and mind is off driving. That could change or end a life.